← Arsenal Top of the League on New Year’s Day? Let’s be having your prediction! Editor’s Note: Bergkampesque welcomes a new writer, Pony Eye, and his thoughts on recent events–and those which lie ahead. Enjoy! The summer window has come and gone. Spending money has become an end in itself instead of a means to an end. It’s heartening to remember that, in the last three years, we have strengthened our first eleven with Cech, Ozil, Alexis, Coquelin, and Bellerin, all top drawer. Less easy to appreciate is the idea that having a settled team has its own unquestionable advantages and that any group of talented players, like a good wine, can only get better with time. It might, therefore, very well turn out to be our luck–or our clever move–not to have invested further (apart from Cech) on new signings, particularly as there was not available, if truth be told, top of the range players that suited our needs. It is a great shame, however, that a section of the fans have turned against their club–a club whose team is leading the 2015 table with 49 pts in 23 games,(Man City at 48pts, Chelsea 45ptd, Man United 41pts) and are currently the FA cup holders. A flower in bloom. With so many top teams now in existence, top players have become a scarce commodity. Apart from that, for the very top teams, new recruits are hardly anything more than the recycling of existing players. When Chelsea buys Pedro for Willian’s position, that is hardly anything more than the recycling of Willian. Same, Otamendi for Mangala. Yes, of course such a squad is deepened, but it requires a deep, deep pocket to be able to sit a galactico happily on the bench. True gunners care about a happy dressing room as it will show itself on the field. We might not have invested with silly money, but we have been patiently investing in our team with that precious commodity called time. Think about it: all the great teams of history have–attached to their story–the element that they had been playing together for a long time. The coaching staff needs time to know and understand the full range of the ability of each player. They need further time to articulate the player combinations best suited for the different formations and yet more time for these player combinations to achieve automatism. Automatism: Per Mertesacker has enriched our football vocabulary with this word. After the more effective combinations of players and positions have crystallized, the final journey to automatism begins. They begin to relate to each other more and more reflexively. The final process of integrating the parts into a whole has begun and proceeds until a point is reached where they become truly a team, operating at its optimum. This is what Wenger is working at. The ingredients that he needs are skilled, intelligent, dedicated players, and time–plus a conducive environment. The former he has, the latter he will get if we can bear with him. Wenger has articulated all these in one word: cohesion. Wenger managed in Japan and, I think, came to understand the culture and the language of that place. The Japanese have been trying hard to invent the perfect language: SILENCE!!! I must have been Japanese in my last incarnation because I feel I understand Wenger, even without words. Our rivals know that their muscles are bigger than ours, and they square up to go toe to toe with us. We say nay to them. We will float like a butterfly and sting like a bee. Back to business. When the line up for our match against Newcastle was announced, Ozil’s name was absent due to minor injury. Being an Ozil fan I was quite disappointed at the news but, at the same time, a certain part of me was thrilled. This was an opportunity to test out another combination. Remember that it was due to an injury crises that the unimaginable happened: Coquelin and Cazorla emerging as our most effective double pivot combination! Nobody could have seen it coming. Right up to this moment, whenever our team tromps out for yet another match, we still quake with doubts over this pairing, in spite of their excellent performance across more than half a season as of now. Prejudice can be so powerful. That is why, sometimes, it is just better we close our eyes and go with the numbers. 7amkickoff, we desperately need you by our side. The numbers, as laid out by that fine blog writer, said that Newcastle had only one attempt at our goal. Did that have something to do with Ramsey’s engine at #10, helping to win the ball high up the field? I can’t give you the answer. I no longer trust what I see. I will just keep my eyes on the ball–and the numbers. By the way, my verdict on the Newcastle match is that the boys played very, very professionally. We the fans love high drama, but the seasoned professional is focused on the fact that the highest point of a high drama is victory, the lowest defeat. Our boys were well focused. 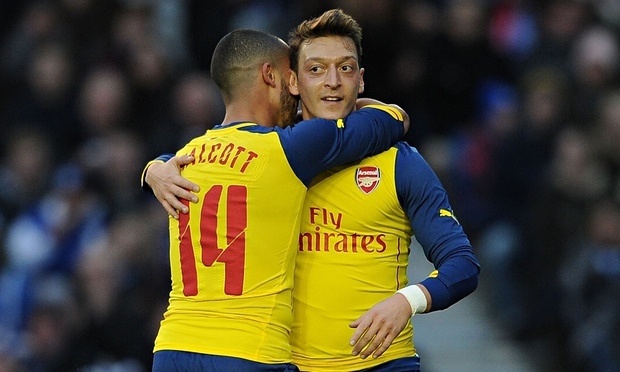 Stoke looms, and my hope is to see the Ozil-Walcott combo. Injuries have not allowed this pairing to play together much, but I dare to consider this tantalizing proposition. In terms of an eye for the final pass–as well as the quality of that pass–there is nothing like Ozil. Ozil is like the eye of the storm (look at his eyes), a point of calmness surrounded amid the turbulence. It is that calmness in the chaos that permits the extraordinary vision and the excellence in execution. Ozil needs intelligence around him to play the little triangles. He has that: Cazorla, Ramsey, Alexis, Wilshere and others. But the triangles are just there as the preamble, a prelude to the final pass. The final pass needs runners. Exquisite runners. If there is no runner to see, then there is nothing to execute, and Ozil will frustrate because he is not very switched on to other aspects of the game. He is far from the one to put in a crunching tackle, for example. Do we have such runners? Theo is top drawer, a world class runner. When he sees space he springs to life. He loves space and opportunity; he loves the final ball in space. I don’t call him a centre forward, I call him a finisher of the final ball in space. Outside of this, Theo is more or less not very convincing, meaning yet another specialist in our hands. Can the team in this era of the universal player afford to carry two specialists? Doesn’t it leave the team lightweight in some areas? On the other hand, this is a combo in which one party catalyses the other into unrivaled excellence. Balance, balance, balance! To be or not to be?–that is the question. For me, unleash the combo, and if you are keen to hear what my prejudice is then, Ozil, roving #10, Walcott, Usain-Bolting the corridors, wide left. That surely starts a chain reaction of alexis@giroud@ramsey@wilshere@ox@welbeck@…@whatadepth…. the end of which only the numbers can tell! Please unleash the combo on Stoke, for starters. Instead, you have written one of the best posts on here that I have read in ages. Many thanks. Sorry, I am not going to intrude with a comment now. I want to read it again, and sleep on it. I liked your post, it was great. You touched on avery important pairing, the one we have not had a chance to hardly get going. Theo and Ozil. I think them 2 can be lethal . Ozil will surely be looking to him more then any other player to lside in when both are finally on the pitch together. The post style reminds me of 17HT’s, as you also cover a lot in a holistic, slightly philosophical way and have a little go a the fickleness of some of the ‘supporters’. For me it is the working of the magic five rather than the two, but I reckon you point out more or less the same. It is OG in the middle as the lighthouse – firm and strong and somebody to rely on… one who can and will convert chances regularly but also allows others to enjoy themselves. Around him we need speed and mobility, ingenuity and deadliness. Sanchez is ideal for this and on the other side it is a battle between Ox and Rambo, or should we add Theo to this? For me, yes, but whoever plays there needs to be a good defender as well, and with Bellerina we have something very special coming from the full back… so Ox or Rambo could be his best partner on the right wing, and Rambo has my preference. Behind this we need creators, and with Ozil and Santi we have a fine duo (as per PG’s succinct post a few days ago). Add Jack, Rosicky and Arteta to that, and the fact that Wenger will also try to play without the lighthouse now and again, and there are plenty of options for the Frenchman to try out. Thnx, Gerry. By your comments, I bet you had a sound sleep. Thnx also PG. Walcott is a great finisher. I agree with you and that’s what my post says. I will explain why I moved Walcott wide. We all have different kinds of mind. There are minds that process things only one at a time, but very efficiently. Others can multitask. I feel, for motor-reflex actions, Walcott belongs to the former. Staying wide and deeper allows him a more paronomic view of the spaces and the evolving moments of the passes. As one view, he is able to time his runs perfectly. Staying centrally and ahead of the ball with his back to the goal, truncates that view and reduces his effectiveness. Remember we are talking about small differences, say 5%, which can make all the difference. I put him on the left because I do not place premium on his runs with the ball, but with his rendezvous with a pass, the keeper in sight, the ball on his right foot. A little bit easier to see, if he is regarded as a striker staying wide left as Thierry used to do. The difference is that Thierry also caused havoc running with the ball. Adjusting to such a very narrow role for a player, will demand the use of a f9 (false nine) who is able to contribute more work to the team to compensate. Sanchez fits the bill perfectly. Too revolutionary? 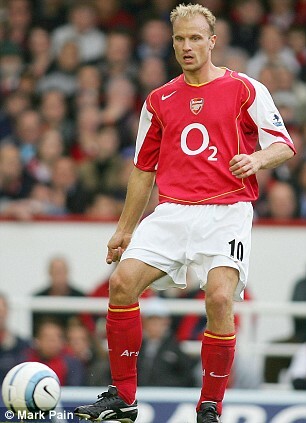 What can be more revolutionary than diminutive Carzola as deep lying playmaker. Any way, best to expand our minds to give space for more options. You never can tell where the magic lies. Against Chl, say, Theo out, Giroud in as central striker. Great post! I would comment briefly on the automatism and Theo. First, to automatism, I would say it’s not only finding the right combinations, but playing them. To that end, we have been hampered by injuries not letting us get that time together. As a result, offensively we are sometimes inconsistent, whereas defensively, even with 2 extras in the middle, we were solid (enough on that one occasion). Also, regarding pairings, it was Vermaelen and Koz who couldn’t work together that led to one’s departure. The failure to find a good mix of those two led to a lack of automatism and greater inconsistency. As a result, one didn’t play and left … As it should be perhaps with no offence to the player intended. a. His speed offers more room out there, and I see him using that from 35m or so out to find space behind and cutting in with his pace more than down the middle where large men will pair up on him and make his life difficult. b. Our outer mids tend to cut in anyway (Sanchez, AR, etc) and let the backs up the sidelines, and equally Ozil tends to wander out when the mood strikes, so he isn’t “stuck” there anyway. PE, a good description of Theo’s strengths and limitations! A free role would suit him best, as long as somebody else, or indeed the team as a whole, picks up the defending from his starting position. Alas PE, I hardly slept at all – dog related. I will add my thoughts later ..
What a really classy Post, Pony Eye, and it is such an intelligent, enjoyable read. Against Newcastle, I was really looking forward to seeing a good deal of the Alexis, Theo & Ox combination – so much so that I groaned when Mitrovic was sent off. I’d have much preferred to have the correct awarding of the penalty, and stay eleven v. eleven. As it was we got a rearguard action from Newcastle which didn’t suit that set-up – especially with Ozil out. Your point about having time together is key. Once we have our confidence, I don’t really mind whether Theo is up front or on the wing, because I believe these players have the ability to seamlessly swap positions, creating an even greater nightmare for any defence. You absolutely nailed the single biggest problem with Arsenal’s current cohort of creative midfielders and attackers, with the above comments – a lack of runners. Only two players regularly make such runs – Walcott and Ramsey. The rest (Ozil, Rosicky, Wilshere, Santi, Ox, Giroud, Welbeck and even Alexis) focus too much on the possession hoarding triangles. I’ve no problem with Arsenal’s existing cohort of attacking players, but they just need to be willing to engage in more risk by making more frequent off the ball penetrative runs into the oppositions box and the possession hoarders need to be more willing to try their luck at passing the ball to find those runners. That said if Arsenal’s attackers aren’t willing to make more regular off the ball penetrative runs into the opposition’s box then maybe Arsenal should just position more attackers within the opposition’s box (revert/adopt a system that accommodates two strikers). Was looking last night at Alexis’ goals from last season. It was amazing to see the number of times he scored simply from occupying a position in the centre of the opposition’s penalty box near Giroud and tucking the ball home. It somewhat changed my perception that he scored the predominant number of his goals last season slaloming in from the left with the ball at his feet. FLO8, you got it. Only Walcott and Ramsey start the run before the pass. Others want the ball at their feet. Exactly why Ramsey should be a must in the top 3 of the 4:2:3:1 formation. To do that, however, requires space and there-in lies the problem. Theo needs to get better with his hold-up play and dropping deeper to participate in those pre-amble sorts of moves. I like him on the right, because if he comes deeper, Bellerin (faster on the track) can always fill the more forward spaces (and get in on the goals). Imagine being an opposing LB or Left Center Back, seeing the team-sheet, and knowing you’re facing those two on the day! That said, I can see why Ramsey (and the Ox, at times) is currently favored in that (starting) role–because he abandons it immediately and does exactly what I’m describing above–joins in with the possession based play AND still makes the forward runs off the ball towards goal. He’s slower, of course, but also more aggressive (much more) about getting involved. I echo what RA said ‘Classy stuff’. A happy dressing room is easier to maintain with a winning team. Very fragile around the fringes when things are not going so well? Cohesion, the magic word that helps make the team, or rather the players within it, adapt to other positions, some more successful than others … it is the latter which leads to tweaking? Tweaking can be the death of a familiarity with colleagues. These are professional sportsmen, and will be able to deliver a high level play, but not necessarily their highest. Both ‘pairs’ and triangles’ have to also work within the team as a whole. How that is achieved is going to be Arsene’s biggest task over the coming weeks. It is not a quick fix, so it requires patience …. These are the things I think your post takes too much for granted? I think it has been made more difficult partly because of the vision of how we might have have started this season has already been blown away. The loss to West Ham was not in AW’s script. Being two strikers down is another. Getting the players to reach a level of consistency because of enforced changes is another. It has not been a total disaster, but then again we were looking at quite a friendly fixture list? The ones after the break will need all of the above to be working well to revive the pre-season hopes. I have similar thoughts about Ramsey. He has some excellent qualities which adds to our best game strategy, but when he is not at his best, can we afford to play him? Now that thought gets multiplied even more with Theo Walcott. Right now, in order to settle the ship and get back to winning ways, I think we have to pick a ‘team’ that will play most of our home games, and be a bit more adventurous in the away games, where we know teams will attack us. Funnily enough, before that Wales game was a League One game, the expert pundit, Ian Holloway was saying that Tony Mowbray was trying to get Coventry (my interest) to play a certain way – which byw, is similar to Arsenal’s, as a possession based, 4-2-3-1 side – but needed them to get an understanding of how to play a different way, when they line up with different personnel or formation, when things are not working. That is also AW’s task I feel? At the moment it seems to me like one step forwards, and one or two steps backwards. That is my main concern that this will be a learning curve season, which will not pick up until after the New Year. That’s a great Post length comment too. Something that is prevalent among many fans is to look at the fixture list and make their minds up that ‘we should have an easy run’ or ‘we should beat West Ham 3 : 0’ and that somehow makes it worse when we lose to Wham, or whoever, and the ‘easy’ fixture list turns out to be a lot more difficult than was thought. ‘Oops – erm, well obviously it must have been Wenger’s fault, innit.’ And so it goes on, and on. I remember now that one of the reasons I do not comment on BK as much as I would like, and I have said this before, the international nature of the BK’ers makes timing difficult, and I am not about when many others are waxing lyrical, and no one seems to be around when I am commenting. Just to be clear, I am not in some self delusional make believe Ptolemaic world where other bloggers circle around my comments, but rather I actually do believe in the blogging equivalent of De revolutionibus orbium coelestium, where we bloggers circle around the central focus of attention [Bergkampesque] but in our own orbits dictated by time. IMO, the last two years the biggest difference between Arsenal and first place has been that ability by the league winners (City and Chelsea in order) to close out a vast majority of those games “professionally” or “clinically” from the start to the end. We often do for good parts of a season, but not all, and that is where most of the points diff comes from, I reckon. Most, not all, but being close provides the pressure and opportunity to then win the bigger ones to win it all. In the invincibles year, there was stress in many games perhaps, but was there doubt? I have a couple of points to add to the above. HT – You are right to say numbers can distort perception, or is the other way around? I think it is part of human nature to have a pre-conceived mental picture of what is about to unfold in any situation, and watching football is no different. The frequently used phrase ‘ People see what they want to see’ is a simplification of that. The pre-conceived idea can be based on many things, not least among them, experience in a similar situation. Whether the reality in front of the viewer is strong enough to form a new perception that can be carried forwards thereafter, varies from people to people. The experience of a TV viewer who only has an edited version of what is going on, as the width of the screen being all that is seen, and therefore likely to have some differences to those who attend matches. But even they, are limited in some way, as their focus of attention might stray away from where the ball is, in order to watch a particular player, or an’off-ball’ incident. This is where the numbers can fill in gaps of perception. If the observer only sees or remembers only the good or bad tackles, or passes, or strikes on goal, then that will cloud his or hers overall picture of the completed game. The point is, the numbers by themselves do not lie. How they are put together to present a picture is another. However, simply believing what your brain made sense of images received can be just as false a deduction, as by the use of selective set of the numbers? This is why we can argue about football all day long. Yes Prof – It is that phrase again ‘…. as we come together ….’, is why I am somewhat fearful of the games coming up in the near future. The news coming out of the I’ntl matches is mixed. The bad, Giroud getting booed off will not help his confidence. Nor will the absence of Kos, now reported to have a problem in the psoas region – yeah, I had to look it up. Lower back pain to you and me. – which can be complicated as to cause. The good news is Ozil and Alexis are doing okay. The biggest problem AW has at the moment is trying to get the selection right against the tougher teams we face, particularly at home. They will exploit any weakness we have more ruthlessly. It goes without saying, to fall behind will present us with even greater difficulties to score, at a time when OG does not mean good news in reference to our top scorer, ie ‘own goal’. I am sure we will get through this period, but how quickly, and how consistently, will define our season. I am not going to blame AW for his team selections, that would be foolish as he knows the players and their mind set best of all. Where I do have a criticism of AW is that reluctance he has shown to change things mid game, when things clearly need a change. You rarely see him give touchline instructions. That is borne out by the times we see players repeating mistakes, or being caught out, when a positive change of formation might make life easier. I say ‘might’, because all changes carry risks. The Newcastle game is a prime example. Within minutes after the sending off it was obvious how they were going to play thereafter, yet the team continued play exactly the same. No changes or instructions given. Substitutions were left to the usual 65 minute, and the 3rd on ignored. Yes, I know we got the three points, and no amount of changes will have increased that, only possibly decreased it. But situations like that will happen again. If we are relying on players to think back to post match discussions in the heat of a game, then I am sorry, I cannot see us keeping three points every time. It does not help me much to try and rationalise the comments of others, because what I understand a fellow blogger to mean when I read what he/she has typed, is often not what they intended to communicate. Naturally that becomes even more problematical where there are a number of bloggers chatting on seemingly the same topic – but being an impulsive type of guy I would hazard a guess that in one way or another you were talking earlier about views based on perspectives that are unique to us all as individuals, and this can cause us to misunderstand the actions or thoughts of others because as individuals our experiences, knowledge and personalities are so different – including those of Mr Wenger. This can lead to endless hours of debate on the blog as we all start from a different base when ‘judging’ the footie actions of Arsene – who I suspect is a somewhat introverted character doing a job which, in part, lends itself to a more extroverted personality. A long winded way of saying I sometimes do not understand the course of the discussions. I think there is real merit in that setup. Defensively it’s more of the same which has been solid and resolute. Offensively it provides Ozil with off the ball runners in Ramsey and Theo and positions our best goal scorer Sanchez centrally. Whilst I don’t think Sanchez’s off the ball movement is as good as Theo nor is his hold up play as effective as Giroud, his ball control and on ball skills are excellent as is his finishing abilities. Plus that setup enables Arsenal to bring on Giroud as a strong target man too mix things up if and when it is necessary. Sounds like a winner to me! Mind if the question was difficult, can we have a simplified answer? FLO8, you have articulated their relative functions beautifully. Pushing it a little further, a target man is one who can hold the ball so his mates can join up. Giroud holds up play, more or less static, with his body strength. Alexis can hold up play equally, but with his twists and turns which might be even more destabilizing to a defence. 100% agree PE and very eloquently described!